1. 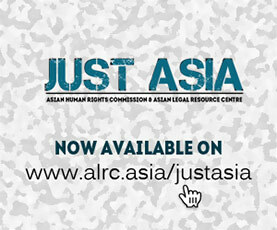 The Asian Legal Resource Centre (ALRC) wishes to draw the attention of the UN Human Rights Council to the problem of Internally Displaced Persons (IDPs) within the territory of the Republic of Indonesia. As a state party to the International Covenant on Civil and Political Rights, the government has failed to protect the right to liberty of movement and freedom to choose residence, as stated in the Covenant’s Article 12. 2. The main factor causing IDPs in Indonesia is continuing conflict and the government’s lack of protection for minority groups. While the government has failed to establish peaceful conflict resolution, its security forces along with vigilante groups are involved in forced eviction against minorities, as in three cases that have come to ALRC’s attention. The first case is the demolition and forced transfer of the Ahmadiyya congregation in West Lombok, West Nusa Tenggara Province (NTB). The second case is the brutal attack and demolition of the Shia community in Sampang Regency, Madura Island. The third case is the forced transfer and demolition of houses of Gafatar congregation in Mempawah, West Kalimantan Province. The government does not want to be responsible for the future life of the IDPs or their remaining possessions. 3. For a long time since vigilante groups demolished and forcibly transferred the Ahmadiyya congregation from their home in Ketapang, West Lombok, in 2005, the government did not provide any solution until recently. According to a local human rights NGO, approximately 32 households consisting of 119 Ahmadiyyas still live in the transit shelter and cannot return to their hometown. 4. After being forcibly transferred, some of the community members living in the shelter have been forced to become traders, farmers, motorcycle taxi drivers, barbers, and construction workers. The government has not provided any jobs to the Ahmadiyya, and there is no clear information regarding their future. While the local government had established a team in 2006 to look into the property of the Ahmadiyya left in their hometown, there is as yet no information on its progress. 5. The government has not made any serious effort to initiate conflict resolution between the Ahmadiyya community in the shelter and other communities. There is also no effective remedy provided by the government, particularly for those who lost their property and other valuable belongings due to the forced eviction. 6. The problem of IDPs also exists in East Java Province, where the Shia community was forcibly transferred from their hometown in Sampang Regency, Madura Island. According to data provided by the Center for Religious and Cross-cultural Studies (CRCS), approximately 332 people are displaced due to the conflict in Sampang Madura. The IDPs also include 154 school-age children and nine toddlers (0-3 years). Prominent human rights NGO KontraS’ branch office of East Java Province further notes that the number of IDPs living in public housing in Sidoarjo Regency has recently increased, because Shia members who had worked as migrant workers in Malaysia have returned. Along with representatives of the Shia community, the KontraS office of East Java Province lobbied the Political Unity Office (Kesbangpol) of East Java Province, and also the Vice Governor of East Java Province to initiate conflict resolution. Until now, however, the government has taken no steps towards this. 7. Another case of forced evictions and demolition of houses occurred in Mempawah, West Kalimantan Province, in January 2016. According to KontraS, the Fajar Nusantara Movement (Gafatar), a religious minority, were forcibly transferred to North Sumatera Province, reportedly to avoid brutal attacks against them and to protect them. Rather than protecting the Gafatar’s congregation from brutal attacks by vigilante groups, the government instead uprooted the Gafatar community, with no guarantees for livelihoods or protection. The government also provided no remedies for the property left by the Gafatar in West Kalimantan. a. Urge the Indonesian government to peacefully solve problems that cause minority groups to become IDPs, and ensure protection for them without any discrimination. b. Urge the government to ensure prosecution against intolerant groups, vigilante groups, as well as security forces and other government officials involved in cases of forced eviction, transfer, and demolition. c. Convince the government to officially invite the UN Special Rapporteur on the human rights of internally displaced persons to visit Indonesia.